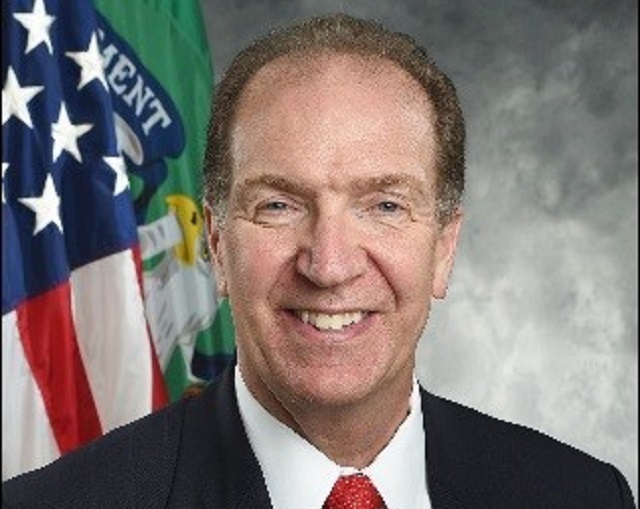 In a report that elicited chuckles from some corners of Wall Street, the Washington Post reported late Monday that President Trump planned to nominate Treasury Undersecretary for International Affairs David Malpass - who, in addition to serving as the chief economist at Bear Stearns as the investment bank spiraled into bankruptcy, also worked in the Reagan and Bush the elder administrations - to be the next president of the World Bank. Due to a decades-old agreement with European nations, Washington picks the head of the World Bank while Europe chooses the head of the IMF. Since 1944, the World Bank's 12-member board has never refused to confirm Washington's pick, meaning that Malpass's confirmation is virtually assured - barring a unforeseen and unprecedented break with unprecedented. One "person close to Malpass" told WaPo that he would seek to be a "constructive" World Bank president, though he declined to comment on Malpass's agenda beyond saying he would seek to protect US interests and raise incomes in developing nations. Of course, given his reputation as a skeptic of global institutions like the World Bank, speculation about Malpass's plans for the bank will almost certainly be the subject of widespread speculation. Since joining the Trump Administration, Malpass has offered some scathing criticism of the institution, once describing the bank as part of a "giant sprawl" of international organizations that create "mountains of debt without solving problems." He has also accused the World Bank of "mission creep" and of prioritizing its own growth over that of the recipients of its funds. Echoing Trump's push to cut costs at the UN, the Economist described Malpass as a "cost cutting crusader". Indeed, Malpass is a skeptic of the very organization that he is being tasked to lead. A noted China hawk, Malpass has been heavily involved with the US-China trade talks, and has also been critical of the World Bank's loans to Beijing. At least one former Wall Street economist pointed out the irony in appointing Malpass to run a global organization tasked with fostering economic growth and stability, particularly in the emerging world, after the Treasury official failed to foresee the impending demise of his former employer. Can I nominate myself to run the World Bank? After all, I was the chief economist for a bank that didn�t fail during the global financial crisis. The current World Bank president, Jim Yong Kim, stepped down on Feb. 1 after more than six years in the post to take a job at a firm focused on infrastructure development in foreign countries. The official announcement of Malpass's candidacy is expected on Wednesday.